I'm an Interior Designer specializing in new construction for American Heritage Homes. I have a degree in Business and an additional diploma in Interior Design. I currently write a column for the St George Magazine and I am involved with Southern Utah Home Builders Association. I sit on the St George Parade of Homes Committee as the Interior Design Chair as well as the Membership Committee. My philosophy in design is “where form meets function” and I’d love to help you create your realistic and beautiful space. Whether you’re looking to add color, organization, or completely transform one room or your entire home, I would be honored to venture into this very fun and exciting creative process with you. From simple consultations, to floor planning and idea boards, to e-designs, seeing what the space will look like ahead of time can help to alleviate any worries and make sure you are getting the space you want within your budget. Whether you want to be involved in the decision making process or simply walk into your finished space, inspired interiors can completely change the way you feel when you’re in your home. Let me inspire your interior so you can love your home again! As an architectural and interior designer, Ellen McKenna brings a unique perspective and aesthetic to each project. Whether you are building a new house or updating your existing home, her understanding of space and functionality and her artist’s eye for materials, color and style will result in a design tailored to your needs. Ellen has 18 years of experience with interiors, exteriors and all design styles. She is intelligent, caring and a good listener, who provides many options, within all price ranges. Her superb interpersonal skills make each project enjoyable for all involved. Ellen provides a seamless process from concept to completion and delivers an outstanding result within budget and on time. Ellen McKenna holds a BFA degree from the Massachusetts College of Art and completed the Harvard University intensive summer program in architecture. She studied architecture and interior design at the Boston Architectural College and won the President’s Award for the Best Portfolio. Additionally, Ellen has taken classes in interior design at RISD and interior design and lighting design at UC Berkley. She has been the owner of Ellen McKenna Design for 9 years. Prior to this, she worked for 10 years at architectural firms in Boston, San Francisco, and Jamestown, RI. Her projects have been in New England, Georgia, Utah and California. Feel free to reach out to us, we would love to hear from you. Building Concepts of So. Utah, Inc. The Building Concept’s team have been committed to building quality homes at affordable prices for over 40 years. Our mission is to leave you with a home that will continue to bring lasting pleasure and enjoyment to your family for years to come. Brent Andersen, President of Building Concepts of Southern Utah was brought up in the environment of building and developing. His Father was a Commercial Developer and from an early age Brent worked alongside his parents building hotels, restaurants, and convenience stores with the family business. It was there that he learned the value of hard work, honesty, integrity and compassion for others. In 1987, Brent and his family sold their home in central Utah to escape the cold snowy winters and moved to Mesa Arizona, where he framed homes in the Phoenix Valley for one of the largest Contractors in Arizona. In late 1989, he and his family relocated to the Red Hills of Dixie and St. George Utah and started Building Concepts of Southern Utah. Building Concepts takes great pride in each and every home that we build. We are extremely committed to see that all of our homes stay current with the latest trends and designs while also being energy-efficient. We pride ourselves on emphasizing the utmost attention to detail. Many of our Custom Homes over the years have been featured in the Annual St. George Area Parade of Homes and have earned numerous awards and recognitions. Greg Ence has been a licensed, self-employed general contractor building quality homes in Southern Utah and the surrounding area since 1982. With his experience working in all phases and facets of construction, Greg prides himself in his “hands-on” approach, thus providing a guarantee of exceptional service for each and every customer. Because of the liberal amount of time Greg spends on the job site of each of his homes, he is often seen working side by side with his dedicated employees to ensure 100% customer satisfaction. Greg is a native to Utah’s beautiful color country, being born and raised in Santa Clara, and therefore strives to maintain a standard of excellence in the spirit of adding value to the surrounding community. He attended Dixie High School and graduated from Dixie State College. He and his lovely wife Jill have six children, along with seven grandchildren and counting. Greg’s first major project on his own was building his own first red brick home on the sycamore lined streets of Santa Clara Drive. Greg is a family man who enjoys fishing, gardening, boating, and camping in the beautiful state of Utah. He loves to spend time in the outdoors doing anything with his family! Greg prides himself on his thorough and accurate bidding. His meticulous methods attract subcontractors with the same standard of excellence in their respective trades, culminating in a gratifying construction experience. Throughout the process, Greg guides and creates personalized touches that complement the individuality of both the homeowner and the landscape. He gets great satisfaction in enhancing people’s basic ideas into a realization of their project dreams, and then exceeding the customer’s expectations to create a masterfully hand-crafted custom quality home that promotes perfection. He strives to harmonize every home with the buyer’s preferences in order to make it inimitably their own. Greg works hard to maintain conditions of trust and communication that in turn sustain the partnership between the homeowner and builder and increases confidence in each building experience. He is continually striving to improve the quality of his work, and therefore has a reputation of building a strikingly beautiful home with an inset exceptional value. With the completion of each home, and with every satisfied client, Greg now enjoys relationships forged with innumerable people who now call one of his homes their own! Canyon Creek was founded by Chris Palmer and Bryce Whitney after working in the bathroom and kitchen areas for over 18 years. 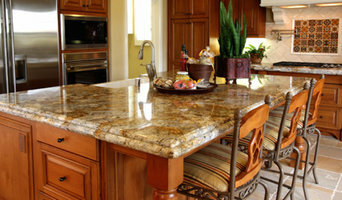 We specialize in all types of granite and cultured marble surfaces, as well as shower glass and mirrors. With our many years’ experience, we can perform any job small or large, and we always offer free estimates. With MG HOMES you will have a true partner. What is important to the customer becomes the driving force behind everything from the selection of the finest materials to the unparalleled planning and craft that defines our completed custom homes. Every home we build is deeply personal to ourselves and each of our clients. Our role is to balance function and form with timeless exterior and interior designs to achieve our client’s vision, while ensuring the home is equally energy and environmentally efficient. From concept to completion, we utilize software that delivers the ability for you to see the construction schedule, design selections, budget, progress photos, and integrated communication between all of the project stakeholders to ensure open communication and transparency during your project. 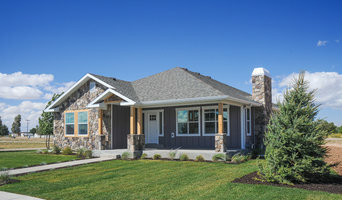 MG Homes enjoys a solid reputation for building impressive custom homes of exceptional quality with excellent client service. What you say about your experience throughout the process of building your home is what matters most to us. At Archibald Design, we are dedicated in helping our clients develop quality projects, by first starting with a great design! We specialize in Custom Home Design and our focus is to make every home we design as individually unique as our clients. 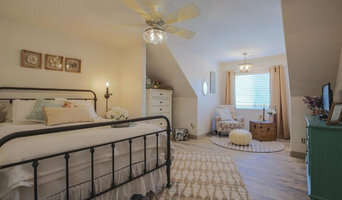 We are committed to maximizing views, designing for unique site conditions, as well as understanding the details that will help make each home satisfy the needs and desires of every homeowner. We strive to make the design process exciting and enjoyable. We take great pride in the work that we produce and the quality inherent to each home we design is the result of years of experience and a standard of excellence that allows us to create truly spectacular Custom Homes, ensuring that every homeowner can move forward with confidence when working with Archibald Design. Electrical Contractor with 25+ years experience. Quality Workmanship, Excellent Customer Service. Residential, Commercial, and Industrial. No project is too small. Licensed and Insured.